From about 1915, this stained glass ceiling fixture has an embossed brass frame with filigree windmill designs. American made, the standard base socket has been rewired and there is a strap to fit a standard modern electric box. 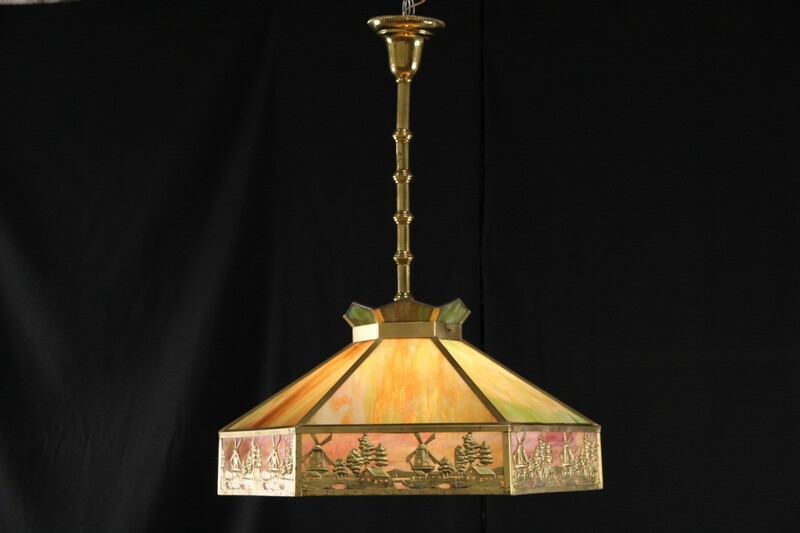 Opalescent panes have shaded colors and hammered texture on this antique light. There are hairline cracks in one of the tiny upper glass panes, see photos. Size is 25" across and 32" tall overall, including the brass shaft and ceiling cap.